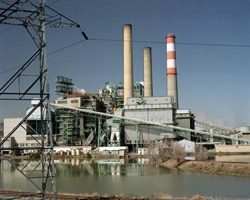 Many of the plans to build new coal-burning power plants have gone up in smoke. In early 2007, the Department of Energy noted there were 151 coal-fired electric generators on the drawing board. Lester Graham reports since then… nearly a hundred of them have been canceled—or shelved. There are several reasons. The recession has tightened credit for building coal-fired power plants. Electricity demand has flattened- partly due to the economy—partly to better efficiency in businesses and homes. 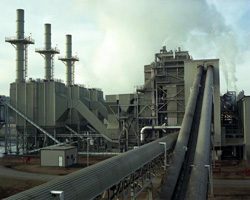 Lawsuits blocked some of the coal-burning plants. And some states are requiring power companies to compare the costs of burning fossil fuels to using alternatives such as wind because of concerns about climate change. Some new coal-burning power plants did go online last year… but in real terms there was just as much new wind power installed. They cost more, but sales of organic foods are rising. Even in this down economy, organic food sales are going up 3-times faster than other foods. Julie Grant reports… that’s happening as the government is working to make sure everything that’s labeled organic actually is organic. Near where I live in Ohio, it costs more to buy a half-gallon of organic milk than it does to buy a whole gallon of regular milk. So, that circular green and white seal that says “USDA Organic” better mean something. Mark Kastel is director of the Cornucopia Institute. It’s an organic industry watchdog group. He says over the past decade, more and more people are buying organic – and the market share has grown. So, big business has moved in to get a piece of the action. Kastel says some so-called organic cows were being raised on factory farms instead of on pastures. Kastel says part of the problem with milk production was that the rules didn’t specifically state how long cows had to be out on pasture. 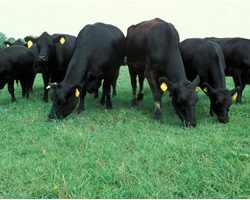 So, some weren’t getting any time eating grass – and were still being certified organic. Kastel was among those who complained to the folks at the USDA’s national organic program about this. That’s one reason why the Cornucopia Institute requested an audit of the National Organic Program. The USDA has responded. It started an audit of the organic program last year. At the same time, the program got more money… and hired a new director. Miles McAvoy has inspected hundreds of organic farms and is now in charge of the national organic program. His first order of business was to help with that audit of the program. It found a lot of problems. But McAvoy is glad it was done. The audit found that the organic program wasn’t cracking down on producers that labeled their foods organic, even if they violated organic rules. It found that the program wasn’t processing complaints in a timely way, and it wasn’t doing a good job inspecting farms in foreign countries. That meant that products imported from China and elsewhere might have the organic label, but not have been inspected properly. McAvoy says the program just didn’t have enough money before to do everything it was supposed to do. Until recently, the national organic program had only eight people on staff. McAvoy plans to hire more than 20 this year. And his office has already addressed most of the issues from the audit. Organic watchdog Mark Kastel is pleased with the direction of the program. He says even the issue of cow pasture has been resolved. Milk labeled organic must now come from cows that are allowed to graze at least 120 days each year. So the USDA Certified Organic label does mean something when you’re handing over more money to make sure animals and the land are treated better. Senators John Kerry – a Democrat – Joe Lieberman – an Independent – and Lindsey Graham a Republican have been working on a climate and energy bill. There have been months of delicate negotiations. 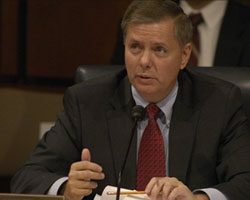 But Senator Graham has walked out – saying he can’t go forward because the Democratic leadership is now playing politics with immigration policy. The House passed a climate and energy bill last year, but a Senate bill has been repeatedly delayed. A new climate change bill will be introduced next week. It’s expected to be very complicated because of so many competing interests. Critics say it won’t pass. Julie Grant reports another much shorter and simpler bill in the Senate is getting some overdue attention. Carbon emissions come from smokestacks, tailpipes and all kinds of manufacturing processes. It’s considered the biggest culprit in the greenhouse gas pollution contributing to climate change. We’ve heard a lot about a possible cap and trade program to reduce carbon emissions. The House of Representatives passed a cap and trade bill last summer, but it hasn’t gone far in the Senate. Senators John Kerry, a Democrat, Joseph Lieberman, an independent, and Lindsey Graham, a Republican have been working on a bill for months. But a simple bill called The CLEAR Act introduced last December has been is gaining interest. Senator Maria Cantwell is a Democrat from Washington State. She co-sponsored the bill with Republican Susan Collins of Maine. Like cap and trade, the CLEAR Act would limit carbon emissions—it would put a cap on them. But it’s different from the complicated cap-and-trade plan that would target those who use energy and allow for many kinds of loopholes. The Cantwell and Collins cap and dividend plan would concentrate on those who produce energy from fossil fuels. It would cap carbon at the tanker bringing in imported oil, the mine extracting coal, the oil and gas at the well head. It would charge those energy producers for permits. Each year the number of permits would be reduced, so theoretically, the amount of carbon pollution would be gradually reduced. Twenty-five percent of the money from the permits would go toward a clean energy fund. The other 75-percent would be paid at a flat rate to each person in the nation to offset higher energy prices. So, fossil fuel energy would be more expensive, but families would get money to offset the higher costs. Cantwell says no matter what we do, even if we do nothing, energy costs are going to rise. She says people want to know what to expect in their energy bills. Many economists and environmentalists like the cap and dividend idea. Senators Kerry, Lieberman and Graham have said they’ll fold some elements of cap and dividend into their massive proposal. Darren Samuelsohn is the Energy and Environment Reporter for GreenWire. He says the three Senators are taking a comprehensive look at carbon pollution in relation to the entire U.S. energy policy. And they’re using bits and pieces of the Cantwell-Collins proposal. cannibalized by that large scale bill. One reason Cantwell is concerned is that the Kerry, Lieberman Graham bill allows trading permits. She says trading hasn’t worked in the European system. And she’s concerned it will make the price of carbon vulnerable to speculators who could drive the prices up artificially. Instead, she wants carbon prices decided at monthly federal auctions. Cantwell says the time is right for a simple, predictable bill like the CLEAR Act. On Monday, the Kerry-Lieberman-Graham bill is expected to be introduced. The vote will be very close, so they can’t afford to ignore what Senators Cantwell and Collins want. The agencies in charge of the Energy Star Program are making it less vulnerable to fraud. Lester Graham reports, a covert investigation revealed corporate self-reporting could be faked. 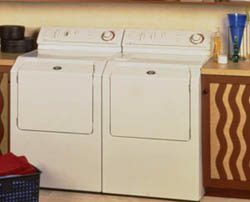 The Energy Star Program certifies whether appliances and other products lower energy costs. But, it was based on the honor system. If the company said its product qualified, it got the Energy Star label. The Government Accountability Office submitted fake products to the Energy Star program. Jonathan Meyer was one of the investigators. Meyer: We initiated our work by submitting fairly common products and those made it through the certification process without any real scrutiny, so we increased the level of, you know, ODD products toward the end of our investigation to see if there’s any type of information that would raise red flags. Even a phony gas-powered alarm clock was certified as Energy Star compliant. This week the EPA and the Department of Energy started requiring complete lab reports to review before approving products for Energy Star labels. John Wakeman was laid off from his factory job eight years ago. So, for him it was, “well… Now what?” He’d always been interested in solar panels and wind turbines. So he decided to go into business helping homeowners put these things up. It’s been eight years, business was slow at first, but he says these days, business for solar panels is picking up. But it’s still really expensive for a lot of people. Wakeman says a typical solar job costs around sixteen thousand dollars these days. But now – you can get help from the government. There’s a federal tax credit that will pay for 30% of the cost of new solar panels on your house. So you spend sixteen grand – you get $4,800 off your next tax bill. And on top of that, there are a bunch of state and utility operated programs that will help pay for the up-front costs. In fact, more than half the states in the country are forcing utilities to make more renewable power. So more utilities are paying people to install things like solar panels, wind turbines, and geothermal heat pumps. 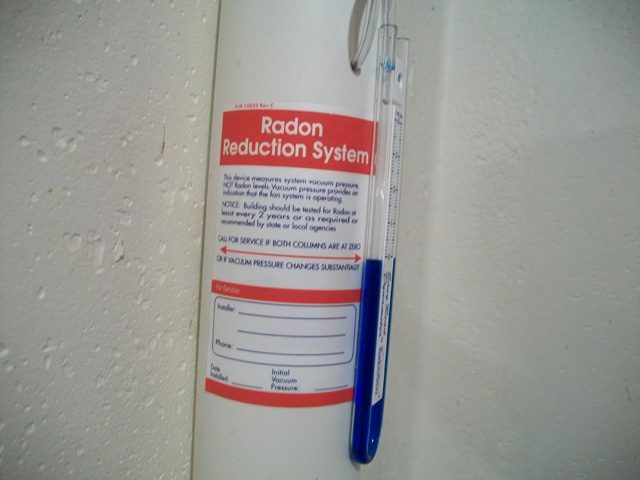 In many places, it costs less to install these things than it ever has. Wakeman says these incentives have been good for his business. Bryce agrees – there are some big environmental costs to traditional fossil fuel sources. Costs that are not always paid for. But in the end – he says renewable energy sources like solar just can’t compete with traditional fossil fuels. But others say the subsidies for renewable power are boosting an industry that is trying to get a start. If you look at the numbers, traditional power sources have always gotten more money from the government. In 2007, the federal government gave out 6.7 billion dollars in subsidies to support electricity production. Most of it went to coal, natural gas, and nuclear. Today, renewable energy sources, like solar, are getting a little more help. And supporters hope that help doesn’t disappear – like it has in the past – when the political winds change. Extracting oil from oil shale takes a lot of water. Most of the oil shale in the U.S. is in areas where there’s not a lot of water. Conrad Wilson reports, one big oil company seems to be walking away from oil shale for that reason. But not everyone thinks that’s the case. In the Western US, some energy companies are betting big on oil shale. That’s a process of basically heating up a shale rock into a liquid that’s eventually refined into oil. But the global recession and the threat of climate change might be giving those companies second thoughts. Add to that a increasingly limited water supply, and oil shale looks like a risky investment. The process of creating oil shale is energy intensive and uses a lot of water. That’s a problem in the arid West. As the population grows, the value of water is increasing. Royal Dutch Shell has the most invested in developing an oil shale technology that works. So earlier this year when the company announced it was pulling away from water rights, it sent shock waves through the industry. That’s Claire Bastable of the Western Energy Project. 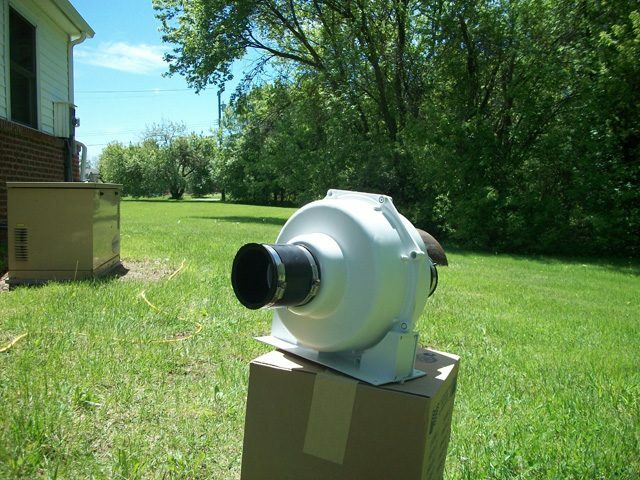 It’s an environmental group that keeps on eye on energy issues in the West. 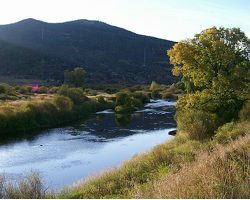 Shell had been pursuing water rights on the Yampa River, in the Northwest portion Colorado. Bastable says the 15 billion gallons Shell was seeking is about three times the amount the city of Boulder, Colorado uses in a year. But, Shell knows a lot of oil can be extracted from the oil shale. It’s estimated that there are 800 billion barrels of usable oil in the shale – in Wyoming, Colorado and Utah. Dr. Jeremy Boak researches oil shale development at the Colorado School of Mines. He says Shell could be simply postponing extracting that oil. Boak believes oil shale has a future, but it’s still decades away. Shell says that even though it’s no longer pursing water rights on the Yampa River right now, it’s in no way backing off its larger ambitions for oil shale. That statement adds timing depends on government regulation and the market. The company could be waiting to see what the government does about climate change and how that affects fossil fuel costs. Shell could also be waiting for oil prices go up before deciding whether oil shale worth the effort. Eric Kuhn heads up water management for the Colorado River District. He monitors much of the state’s water West of the Continental Divide. Kuhn says there’s probably enough water for oil shale development right now, but it’s hard to say for how long. Environmentalists in the region hope they won’t. They say Shell’s decision not to pursue the water right now should be a signal to others… oil shale just might not be worth the effort. This party is full of business owners, union leaders, MBA students, and lots of other folks interested in figuring how to run successful companies that aren’t bad for the environment. Holly Harlan has been hosting these kinds of gatherings for nearly a decade. She has literally made it her job to assist companies move toward sustainability. She started this group, Entrepreneurs for Sustainability – known as E4S – back in 2000. When she started out, it was nearly all start-up companies. Now it’s more established firms. She wants me to meet Christopher Moody. When Harlan first started E4S, most of the companies she heard from then were starting to offer green products and services – green cleaning, green lawn care, and solar panels. Harlan says E4S wanted find ways to assist those already established companies to make changes. E4S parties aren’t just for networking. They have an informational component. This one is focused on solar panel installations for businesses. Harlan is trying to give business leaders more information about whether it’s a good energy strategy for their factories, banks and start-up companies. After an initial information party like this, E4S will offer workshops – and tours – so business owners can take a look at how solar energy is being used by other companies – to give them a real on-the-ground understanding. 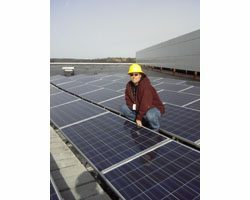 Then Harlan’s group goes one step further – and helps those that are interested connect with solar installers. 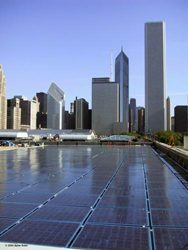 Sustainable business groups like E4S have been forming in cities around the country in recent years. 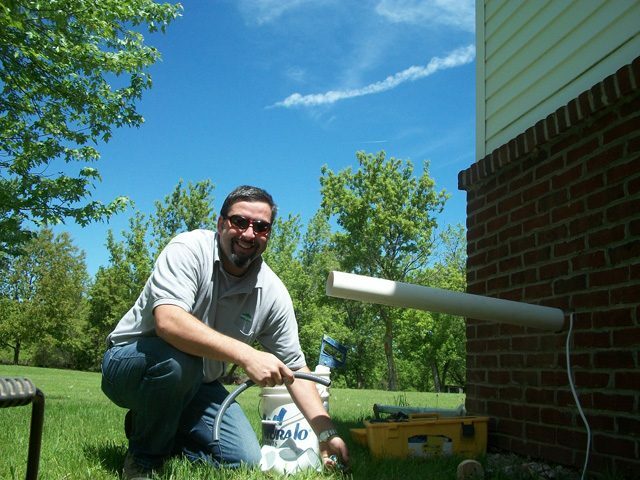 Jeff Krejci is with Interface Carpet Company – which has been working toward becoming a green business for many years. He says the business community needs independent groups like Entrepreneurs for Sustainability. The sustainability groups want businesses to see that they can reduce their costs – while doing better for the environment and society. Before she started E4S, Holly Harlan worked in industrial engineering and economic development. But once she heard about companies designing their processes more efficiently, more sustainably – her own light turned on. Now Harlan is trying to get more people to see through these new glasses. To provide a better quality of life in the future – and make good economic decisions today. warnings and, eventually, a fine. Janis Peng is a foot soldier in San Francisco’s war against garbage. Today, she’s going door to door in a San Francisco Chinatown apartment complex, trying to convince the mostly elderly residents to make better use of their city-provided compost bin. In fact, Peng is part of a city-wide effort to eliminate waste altogether. In 1989, California passed a law, which was considered radically ambitious at the time. They wanted to divert away from landfills 50% of the state’s garbage by the year 2000. For San Francisco, that wasn’t enough. That’s Jared Blumenthal. He’s head of San Francisco’s Department of the Environment. Today, he’s in the backseat of a Toyota Prius. He’s on his way to a recycling press conference. 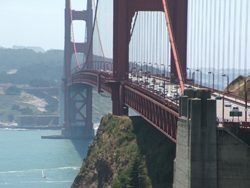 Right now, San Francisco’s at 72% recycling. City officials say that mandatory recycling will bring that number up even higher. But can any city ever get to zero waste? Robert Reed is a spokesman for Sunset Scavenger Company, in San Francisco. Here at Pier 96, dozens of workers stand by conveyor belts, sorting out the contents of an entire city’s worth of blue bins. Sunset Scavenger sells these commodities to buyers here and in Asia. That generates revenue that helps fund the program. But recycling is expensive, in part because some products – like many plastics – cost far more to recycle than they’re worth. Aluminum and glass can be yanked off the conveyor belts with magnets and other machinery. But plastic has to be hand sorted. Mark Murray is executive director of Californians Against Waste, a Sacramento non-profit group. Murray says he hears all the time from residents who want to eliminate waste all together. That’s because some things may never make sense to recycle. Like ballpoint pens and plastic razors. Murray say that maybe if the costs for those items included what cities pay to take them apart for recycling or to dump them in the landfill, maybe people would use less of them, bringing us a little closer to the holy grail of zero waste. For The Environment Report, I’m Amy Standen.